SAN DIEGO, Calif. (CBS 8) - A Pacific storm hit the San Diego area early Thursday, bringing rain to the region and contributing to a higher than normal amount of crashes during the morning commute, authorities said. According to the California Highway Patrol, 119 accidents happened between midnight at 9 a.m. Thursday. The agency normally reports between 50 to 75 accidents in good weather. Among the accidents Thursday was a crash on northbound SR-163 in Hillcrest that killed a paramedic who was working at an earlier car accident. Rainfall amounts were expected to hit between a quarter-inch and a half-inch from the mountains to the coast, the National Weather Service said. A winter weather advisory was in effect through early Thursday afternoon in the mountains, where the snow level was expected to fall to 3,500 feet. Snowfall was reported in Julian, but mostly melted by late Thursday morning with warmer weather. 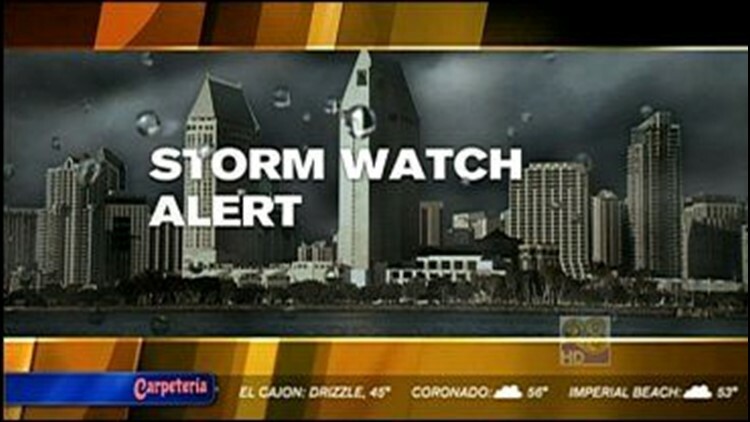 A high surf advisory was also in effect until 3 a.m. Friday for the coastal areas, with waves expected from 6 to 8 feet.